For over 10 years, Avenir has been producing innovative bathroom accessories and heated towel rails, all designed and carefully created with functionality and quality at top of mind. Avenir proudly manufactures 90 per cent of its products from raw materials at their state-of-the-art facility in Sydney, and has an eco-friendly approach at every level. 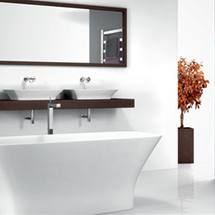 Avenir has released two new bathroom accessory ranges – Above and Beyond. Both of these ranges feature DirectConnect, a unique installation system that has been cleverly designed to attach to the wall without the need for a wall-mounting component or any screws. When you purchase Avenir products for your bathroom, you also buy peace of mind knowing most products carry a 10-year warranty.